If you’re looking for reasons to visit Rio de Janerio, here’s another one you can add to your list, and it’s so good we’re thinking about packing a bag and meeting you at the airport. In fact, if you’re a Brazilian music fan you might even see this as a game-changer for Rio’s jazz scene. 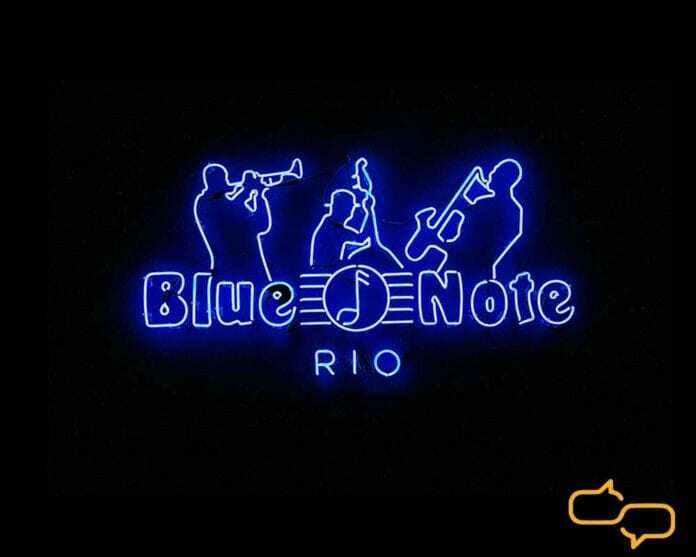 The New York-based Jazz mecca known worldwide as the Blue Note Jazz Club opened the doors of its newest location last August, nestled in Rio’s posh, upscale neighborhood of Lagoa. The Blue Note’s original club opened in New York, in 1981. Today you’ll find them on four continents: in Hawaii, California, China, Japan, Italy and Slovakia. Rio’s location is Blue Note’s first in the Southern Hemisphere. “I started to go to New York’s Blue Note when I was a child, and I have always been fascinated by it,” Blue Note partner Daniel Stain explained to the Rio Times. “In September last year, [my partner] Calainho and I embarked on the project of bringing Blue Note to Rio. Now, the dream is coming true. “For this project to work, it was fundamental to have good musicians around. Rio seemed to be the perfect place because this is where many musicians stay”.